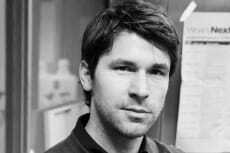 NYSCF – Robertson Stem Cell Investigator Dr. Alex Meissner, Harvard University, published his latest work on the role of transcription factors in stem cell differentiation in Nature. The scientists analyzed genome-wide data on the effects of 38 transcription factors during differentiation of human embryonic stem cells into the three germ layers, and showed downstream effects and context-dependent changes caused by these transcription factors during the differentiation process. Understanding step by step stem cell development is crucial for future cell replacement treatments and technologies, as well as for basic research.